#Nguenyyiel, the newest and biggest camp in the Gambella region, is home to more than 75,000 South Sudanese refugees. 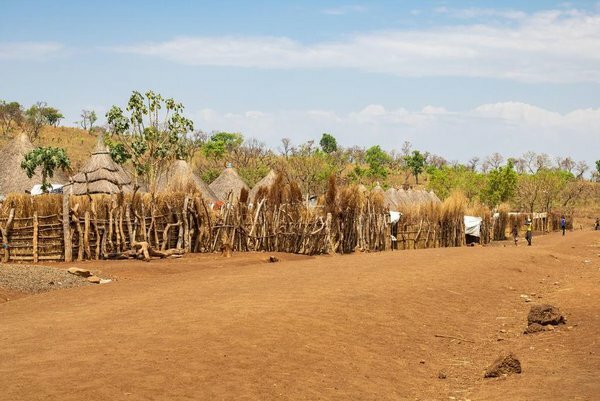 It was opened in 2016 following flare-ups between opposing South Sudanese factions to accommodate a new influx of refugees to this sparsely populated, low-lying and remote corner in southwest Ethiopia. The region currently hosts more than 360,000 refugees from South Sudan. 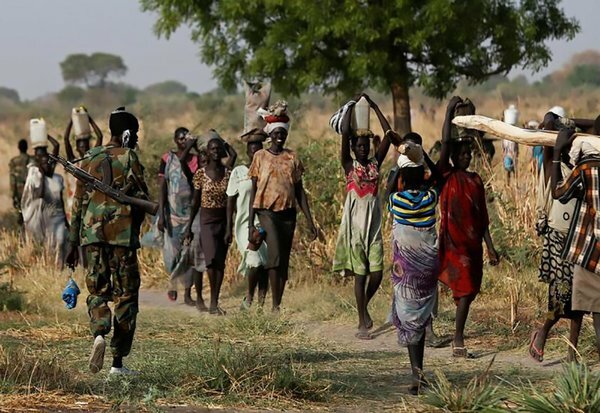 The United Nations Population Fund (UNFPA) on Saturday called for concerted efforts to address humanitarian needs of refugees in Ethiopia’s Gambella regional state. 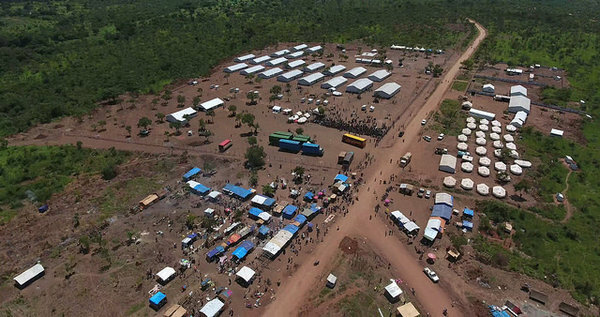 UNFPA Deputy Executive Director Dereje Wordofa and a team of UNFPA regional directors and country representatives visited Ethiopia’s Gambella regional state, which alone hosts more than 423,000 refugees from neighboring countries, mainly the civil-war ravaged South Sudan. According to UNFPA figures, about 64 percent of the refugees in camps across Gambella region are younger than 18 and some 88 percent are said to be women and children. “In addition to the humanitarian response in the region, the increase in demand for social services among both host communities and displaced people remains a challenge to be addressed, as this is creating tension among refugees,” the UNFPA said in a statement. “There has been increasing concern for the safety of vulnerable groups, especially women and girls traveling long distances to collect firewood, food and water,” the statement said. 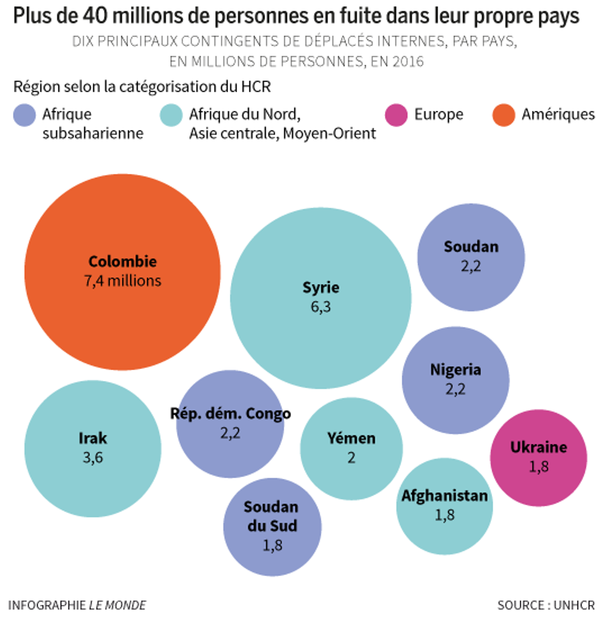 Depuis 2013, le conflit au Soudan du Sud a contraint près de 2,5 millions de personnes à fuir dans les six pays limitrophes de la sous-région qui sont eux-mêmes en proie à des défis socio-économiques colossaux. De plus, près de 2 millions de Sud-Soudanais sont déplacés à l’intérieur du pays. Ces déplacements forcés impactent plus d’un tiers de la population totale du Soudan du Sud. 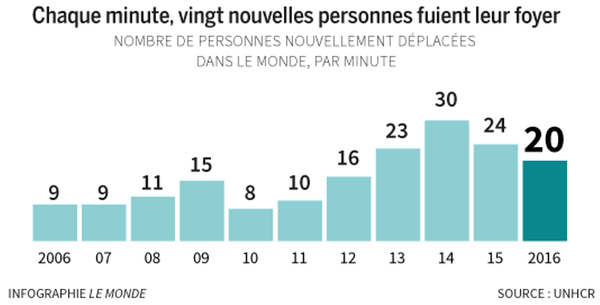 Alors que la violence persiste dans le pays, les réfugiés et déplacés internes font face à de nombreux défis, tandis que les perspectives de retour dans un futur proche sont très limitées. 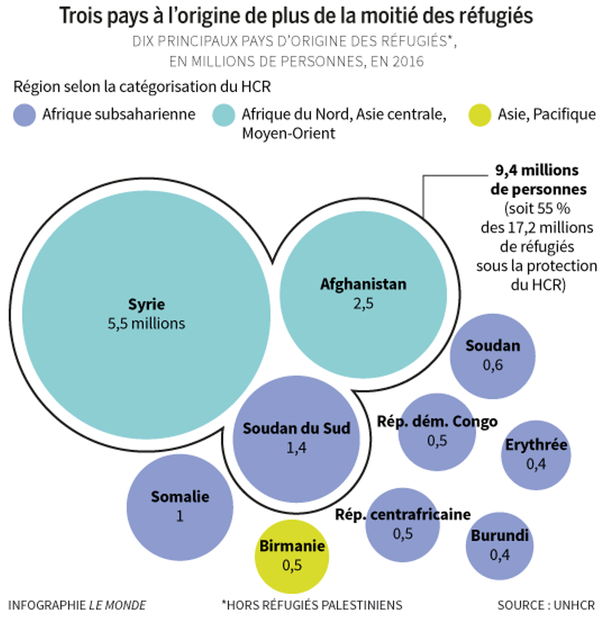 Il est à craindre une dégradation de la situation des personnes déplacées et de la réponse humanitaire apportée par les différents acteurs. George Orwell? Nein, Ayn Rand war hier. „Bestandsdaten“ (die Lage von Straßen, Gebäuden, Parks. Schienenwegen usw.) „Verkehrsdaten“ (wer bewgt sich wie von wo nach wo), Personen- und Metadaten (wie ist das alles miteinander verbunden) sind heute die Grundlage für Macht über uns alle. Wer diese Daten kontrolliert, kontrolliert potentiell unsere Bewegungen, also unsere Freiheit dorthin zu gehen, wo wir es wünschen. Er kann aus den Metagdaten schlußfolgern, was wir tun und sagen. Wenn ich und viele andere, die sich im Netz zu gewerkschaftlichen Themen äußern, an einem Ort zusammentreffen, so ist das eine Demo/Streik/o.ä. . Wenn das Zusammentreffen draußen stattfindet, ist das eine Kundgebung, wenn es in Innenräumen passiert, und die Teilnehmerzahl nicht größer als X ist, ein Organisationstreffen. Gleichzeitig ergibt sich daraus, wer als Rädelsführer / Influencer markiert / getagt wird. Über diese Daten verfügen Google, Facebook, Twitter und in geringerem Maße Apple und Microsoft. Nicht zu vergessen sind spezialisierte Ortungsanbieter wie Foursquare und viele kleine Startups und ältere Unternehmen, die unsere Daten sammeln. Für gefährlich halte ich zur Zeit nur die Unternehmen, die sehr groß und direkt mit staatlichen Stellen verbunden sind, was auf alle US-Firmen und auf die aus China zutrifft. Das Besondere an diesem Video ist, dass es aufzeigt, wie Google von einem Beobachter zu einem Akteur auf zwischen- bzw. überstaatlicher Ebene wird. Die schmutzigen Fantasien einer Ayn Rand werden unter Führern und Staatsfeinden wie Peter Thiel, dem Facebook Investor der ersten Stunde, Jobs, Gates und ihren vielen weniger bekannten Mitverschwörern zu unseren Albtäumen. Wir sind uns ihrer nur nicht bewußt, es sei den wir lernen im Tagtraum die kommenden Auseinandersetzungen durchzukämpfen. Auch davon hängt ab, ob der dystopische Atlas in unsere Welt einbrechen kann. Es arbeiten genug Reiche und Mächtige, die sich als die neuen Übermenschen fühlen, an diesem Projekt. In 2010 Nicaragua invaded Costa Rica When asked why they’d seized territory they claimed it belong to them on Google Maps. Who did Costa Rica turned to first? Nicaragua? The United Nations? No they went straight to Google because in the eyes of the world Google Maps has become the de facto world map. Despite having non legal authority over international borders Google has become the world’s most powerful player. Borders are a uniquely human concept and in most of the world the only tangible legitimacy they have is through maps. But the cost and resources required to make a map a staggering. Until recently countries were the only ones who could afford it. Cartography was a nationalized industry, which meant no map was without bias or influence. Historically if you wanted to seize territory from a less powerful nation, you just really redrew the map. When questioned by locals you showed them the map., ignored their claims of already living there and held up the only piece of real evidence that exists. This is basically how colonialism worked, but with more genocide. Probably the most extreme example is Africa. 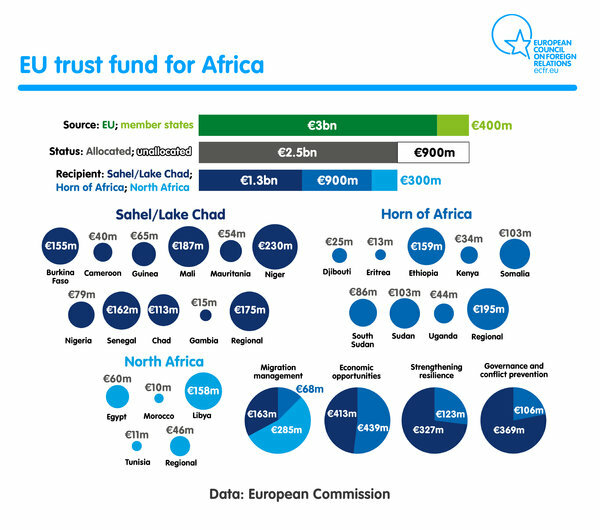 In 1884 10 per cent of Africa was under European control. Just 30 years later this has risen to 90 per cent. Land was negotiated from thousands of miles away and countries redrawn with little consideration for local or cultural boundaries, yet the map drawn then remains largely unchanged today. Most would argue that today’s map of African is correct. There is some objective truth to it. But 130 years ago it was nothing of the sort. Over time the existence of a map is self legitimizing. While countries were the sole map makers it was fine if two states disagreed over a border. Each produced their own map and their citizens would rarely have a chance to see any other version. But as the internet arrived nationalized mapping decreased and companies like Google started to fill the gap. An international company creating an international map for all? Not quite. Google still relies on the approval of nation states. It’s all too easy to censor a website. Google only has to annoy one government to lose a country’s worth of users. Any errors along the China-India border could lose them 1/3 of the world’s customers. The region of a one-child Pradesh borders India China Bhutan and Myanmar. Administrated as a state of India they keep a hundred thousand troops in the region but China also claims ownership calling it South Tibet. Each country has laws to stop map makers drawing the border in the others favor or even acknowledging the region is disputed. So Google creates three different maps. This is what two thirds of the world will see on Google Maps. The dotted line indicates disputed territory, but if you view the area from a Chinese domain it shows it belongs to China and as a part of India from an Indian domain. No mapmaker previously had the ability to do this. Historically you had to pick sides. The average Chinese or Indian citizen would be unaware of any dispute or at least there would have been until Google accidentally switched the borders in 2007. This caused outrage in both countries. Many in China were unaware that most of the world didn’t recognize China’s legitimacy over the region and members of the Indian Parliament accused Google of purposefully derailing an upcoming summit between the two nations. There are similar disputes all along the India China border. All are heavily militarized with regular standoffs backed by two of the largest armies in the world both with nuclear weapons. So just in case nobody noticed the first time around, Google managed to make the same mistake again in 2009. But the advantage of online maps is the speed they can be changed. A mistake of that magnitude 20 years ago would have taken years to correct instead of ours Google can react to political events quicker than any other map maker. When Russian troops arrived in Crimea in February 2014 it was less than a month until Google showed the territory as disputed. This was despite the United Nations asking nobody to recognize any alteration of the status of Crimea. Google Maps in Russia shows Crimea as Russian territory and Ukrainian were interviewed from Ukraine the father. The fact that Google is willing to ignore UN resolutions is a big deal. Countries do it all the time they protect their own interests and alliances above other nations, but Google is a company who now has the power and influence of a state. They’re big enough to survive any confrontation with the UN and probably see Russia as the worst enemy to make. The UN moves slowly. The United Nations regional cartographic conference only meets every three or four years. Google has to make border and naming decisions daily. Those decisions may not have any legal weight, but everyone uses Google Maps, so in reality they’re the most important. When South Sudan became an country in 2011 the vote didn’t specify the exact placement of the border leaving some towns and villages unsure whether they would be in Sudan or South Sudan. Each country naturally claimed ownership, but no official map would be made for a while It was left to Google to organize South Sudan community mapping events. They encouraged local people to create detailed maps of an area that was lackin any accurate data, and for a semi democratic process an almost precise border was decided. There are still contested areas today and not without their bloodshed, but Google did more to help local territorial disputes than then UN or any state. This isn’t the only example of Google using local input as the basis for their Maps. They publish a program called Google Map Maker, which allows anyone to make changes and suggestions. This is useful for new roads and public footpaths, but also helps Google decide what to call things. It’s strictly moderated and Google has the final say over the public version, but llike in Wikipedia things inevitably slip through the cracks. For obvious reasons you can’t edit the border of a country. There were hundreds of disputes in the world - imagine the chaos. So Google doesn’t get involved with most of them, but here and there throughout the world map it does change slightly based on where you’re stood. This may not necessarily be a bad thing. Historically the larger power would just stamp out the smaller one, but with Google Maps as the unofficial official adjudicator borders could remain disputed forever, both sides constantly pointing guns at the other but rarely firing. Is a long cold war better than an short hot one? That’s a philosophical question best left for the Commons, but for better or worse. Google is making edits all decisions on something most people view as an objective truth. No political map can ever be a hundred percent accurate in the scientific sense of the word. At best they can be an diplomatic compromise and at worse they can be a propaganda tool. Maps and especially Google Maps are amazing, but there should be treaty. Like any other media. They are subject to the motives and influences of the humans that made them. South Sudan is close to another famine, aid officials said on Monday, after more than four years of civil war and failed ceasefires in the world’s youngest nation. Almost two-thirds of the population will need food aid this year to stave off starvation and malnutrition as aid groups prepare for the “toughest year on record”, members of a working group including South Sudanese and U.N. officials said. 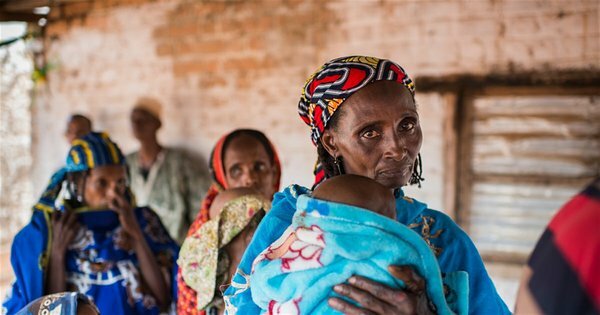 “The situation is extremely fragile, and we are close to seeing another famine. The projections are stark. If we ignore them, we’ll be faced with a growing tragedy,” said Serge Tissot, from the U.N. Food and Agriculture Organization in South Sudan. 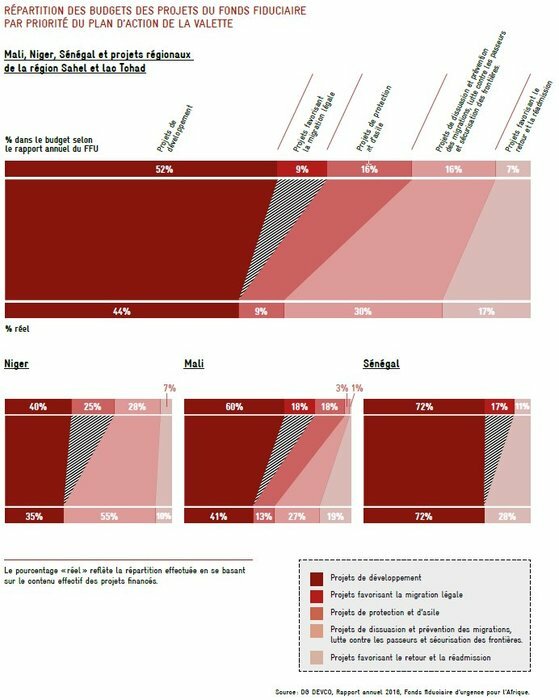 A total of 5.3 million people, 48 percent of the population, are already in “crisis” or “emergency” - stages three and four on a five point scale, according to a survey published by the working group. 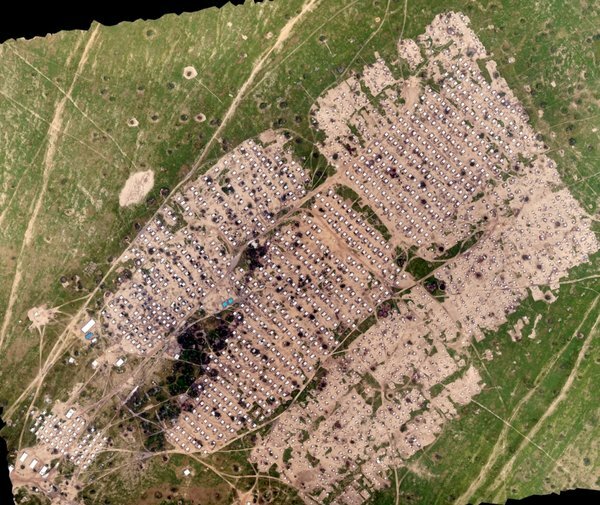 Understanding the complexities of food security analysis in South Sudan, where more than seven million people are at risk of starvation. 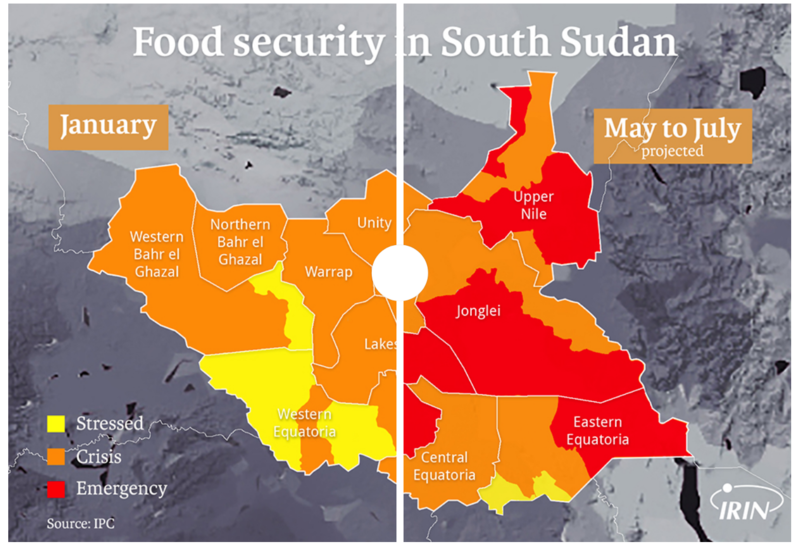 A series of maps released last week showing progressively larger areas of red projects a grim picture of growing hunger in South Sudan, and warns that famine could break out again in some areas unless adequate aid is delivered. UN agencies say that the “food security outlook has never been so dire as it is now,” and that roughly seven million people will require humanitarian aid to avert starvation. 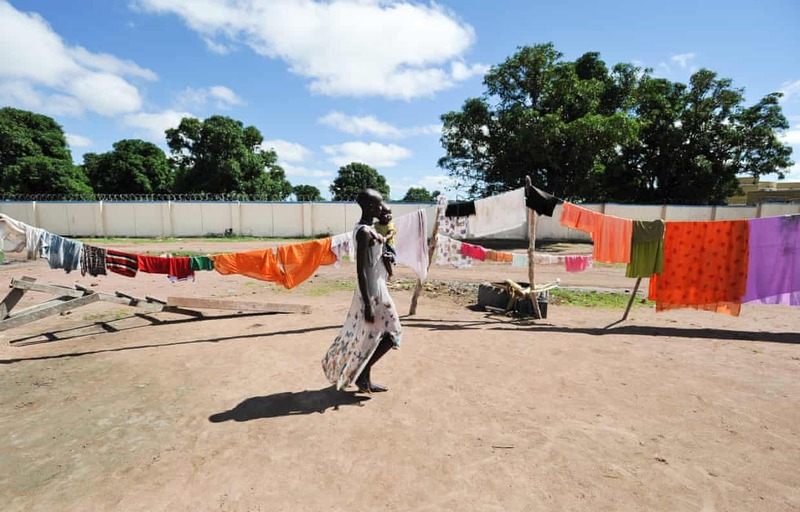 But the eight-year-old’s death – and that of three other boys – could have been easily prevented, had it not been for the price of drinking water in South Sudan’s capital Juba – costing a third of a family’s monthly income. The life of Hosna Idris Abdallah has been marked by violence, hunger and poverty. However, she has never given up on herself or her children, and has never lost her desire to keep learning. 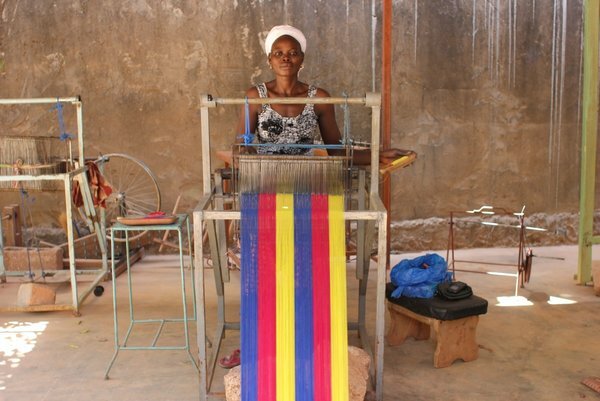 At home in the Darfur region of Sudan, Hosna’s family were farmers and herders. Like every other young woman she knew, she got married and had a family. Then war broke out and armed men raided her village. They killed five men from her family, including her husband. These are the words of #Gordon_Buay, deputy chief of mission at South Sudan’s Washington embassy, as posted on his Facebook page. #Buay claims he’s simply defending his government, but some of those working for peace in South Sudan call it hate speech and accuse Buay and other prominent figures in the diaspora of fuelling the terrible conflict in this newborn nation. The U.S. wants to deport more Eritreans. Here’s what would happen if they were forced to return. “Our goal is to get countries to agree to accept the return of their nationals,” David Lapan, a Department of Homeland Security (DHS) spokesman, told reporters Wednesday. Twelve countries are currently on U.S. Immigration and Customs Enforcement’s list of “recalcitrant” nations that seriously hinder deportations: China, Cuba, Vietnam, Laos, Iran, Guinea, Cambodia, Eritrea, Myanmar, Morocco, Hong Kong and South Sudan. He wouldn’t name the four countries that will be hit with visa sanctions, saying it is up to the State Department to decide how severely to punish the countries, but under the law at least some of their citizens — if not all — could be denied the ability to obtain immigrant or visitor visas to travel to the U.S.
La nouvelle ligne de front dans le conflit au Soudan du Sud a contraint des centaines de milliers de personnes à fuir la fertile région d’Équatoria au cours de l’année écoulée, et génère des atrocités, la famine et la peur. Investigators have been documenting the horrors committed during South Sudan’s civil war since its outbreak, but a new UN report offers a detailed account of some of the most emblematic crimes committed there during 2016 and 2017, underscoring the necessity of holding the perpetrators to account. Era il 26 febbraio del 2003. Con un assalto al quartier generale dell’esercito del Sudan a Golo, nel distretto del Jebel Marra, il Fronte di Liberazione del Darfur sferrava il primo attacco pianificato contro una postazione militare strategica del Governo del presidente Omar Hassan Al Bashir. Iniziava così, ufficialmente, la guerra nella regione occidentale sudanese che a 15 anni dal primo atto significativo del conflitto che ha causato la morte di oltre 300 mila persone non sembra destinato a conoscere la parola pace. Ieri, come ogni anno il 26 febbraio, Italians For Darfur, associazione no profit che dal 2006 porta avanti una campagna di sensibilizzazione su questa crisi umanitaria dimenticata, ha pubblicato il rapporto annuale su Sudan e Sud Sudan, realizzato in collaborazione con Unamid, la missione Onu – Ua dispiegata sul terreno dal 2008. 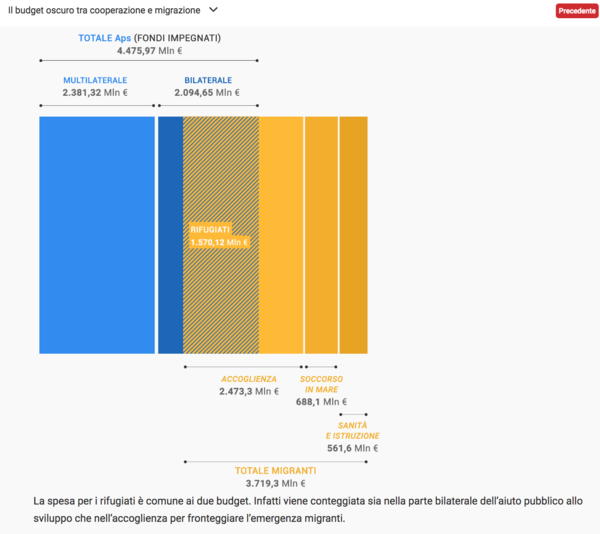 Quest’area, grande quattro volte l’Italia, è stata ed è tutt’ora teatro di scontri tra fazioni contrapposte per l’accaparramento delle risorse dell’area e come capita in tutti i conflitti a pagarne le conseguenze peggiori è la popolazione civile. 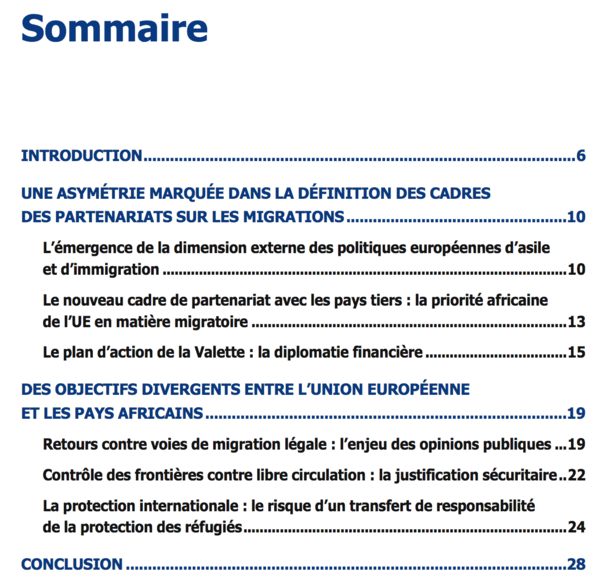 La nouvelle ligne de front dans le conflit au Soudan du Sud a contraint des centaines de milliers de personnes à fuir la fertile région d’#Équatoria au cours de l’année écoulée, et génère des atrocités, la famine et la peur. Des dizaines de milliers de civils dans la région du Haut-Nil, au Soudan du Sud, ont été déplacés de force lorsque les forces du gouvernement ont incendié, bombardé et systématiquement pillé leurs villes et villages entre janvier et mai 2017. 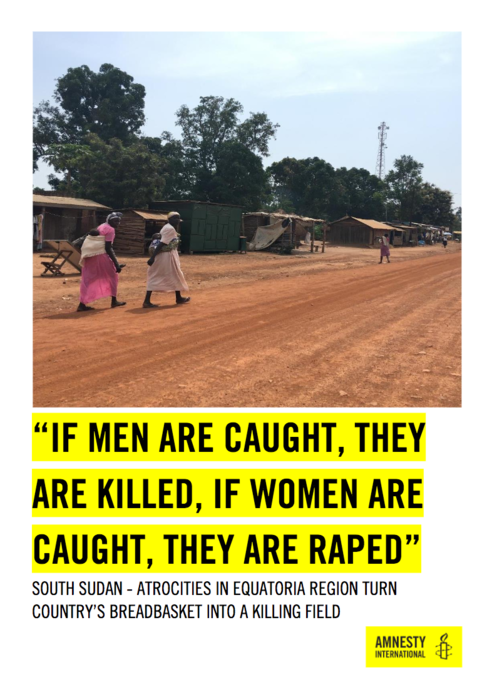 Once known as a pocket of peace in South Sudan, the small town of #Mundri now has a reputation for its high rate of sexual assaults on women. But one group is determined to help the community’s women take back their town. D’après les chiffres les plus récents des Nations Unies, les enfants représentent près de 62 pour cent des 1,8 million de personnes déracinées depuis trois ans par l’escalade du conflit au Soudan du Sud. 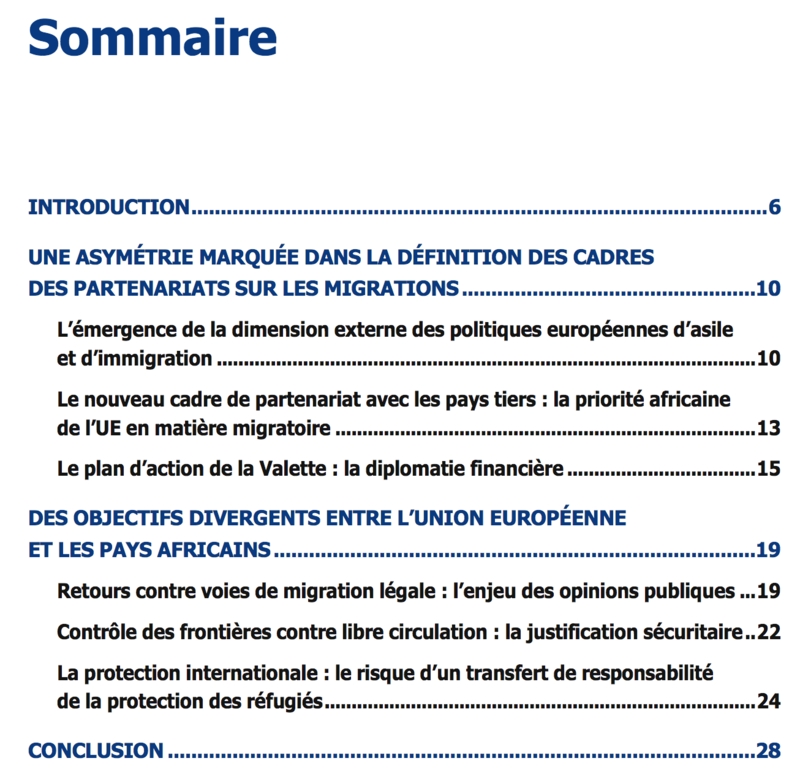 Ces aéronefs télépilotés permettent d’évaluer les besoins des personnes ayant fui les #conflits et la persécution au #Mali, au #Nigeria et au #Soudan_du_sud. 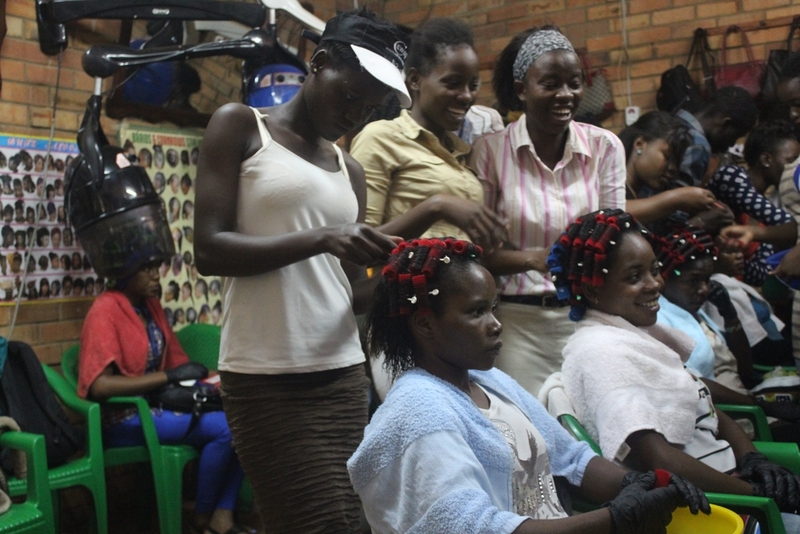 If you are a refugee, then Uganda is one of the better places to be. 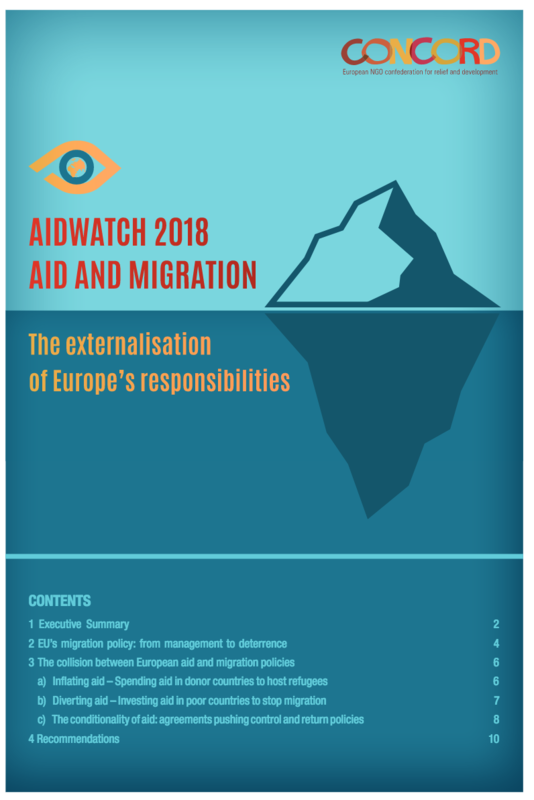 Refugees and asylum seekers are entitled to work, have freedom of movement, and can access social services – a progressive policy much-lauded by the international community. “They just slaughter you, whether you’re a man, woman or child. I lost all my brothers and my relatives. Life here is very difficult. 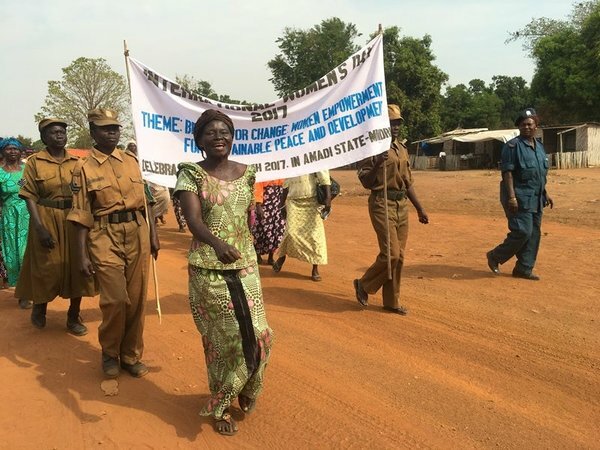 With no man, nobody helps you,” says Maria*, who is one of hundreds of thousands of refugees who have fled to northern Uganda since July 2016, following renewed violence in South Sudan. 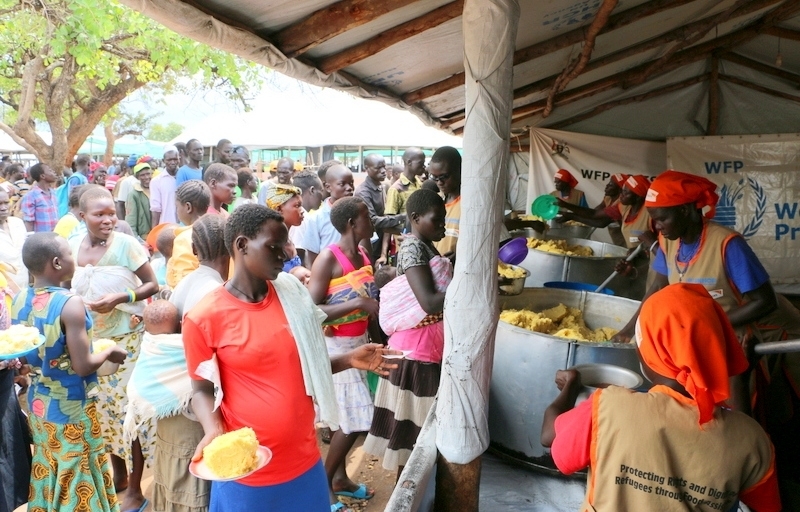 Over 630,000 refugees have since arrived in Uganda and thousands continue to arrive every week, bringing the total number of South Sudanese refugees and asylum-seekers to over 900,000. Uganda now hosts more refugees than any other African country, accepting more refugees than the number who were granted asylum by the whole of Europe in 2016. 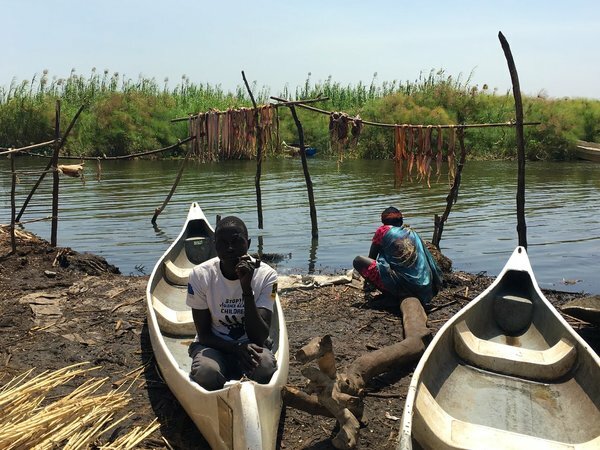 In South Sudan, people are sheltering from conflict wherever they can, including a network of islands in the swamps of Unity State. On one island, where 2,300 displaced people live without access to clean water or toilets, cholera has become rife. June 2, 2017 (JUBA) – Thousands of South Sudanese displaced people in Jonglei state are at risk from a cholera outbreak, warned the medical group Médecins Sans Frontières/Doctors Without Borders (MSF) on Friday. 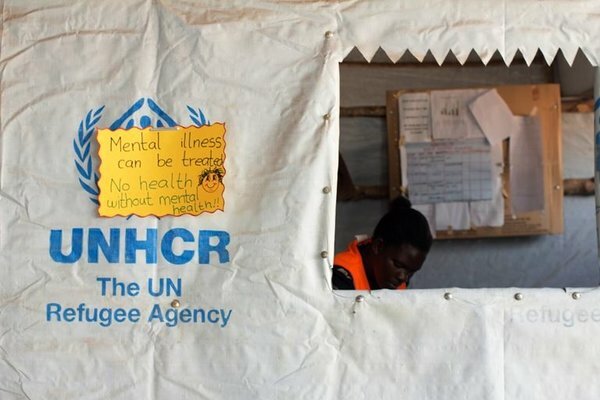 In Uganda’s massive Bidibidi camp, which is home to more than 272,000 South Sudanese refugees, aid workers are trying to identify and help sexual violence survivors – despite a dearth of resources. Au Soudan du Sud, des milliers de personnes, des #femmes, des #filles et des #hommes, ont été violées et agressées sexuellement à cause de leur appartenance ethnique. Sans personne vers qui se tourner pour obtenir de l’aide, elles se trouvent dans un état de détresse psychologique total dans un pays en plein conflit. 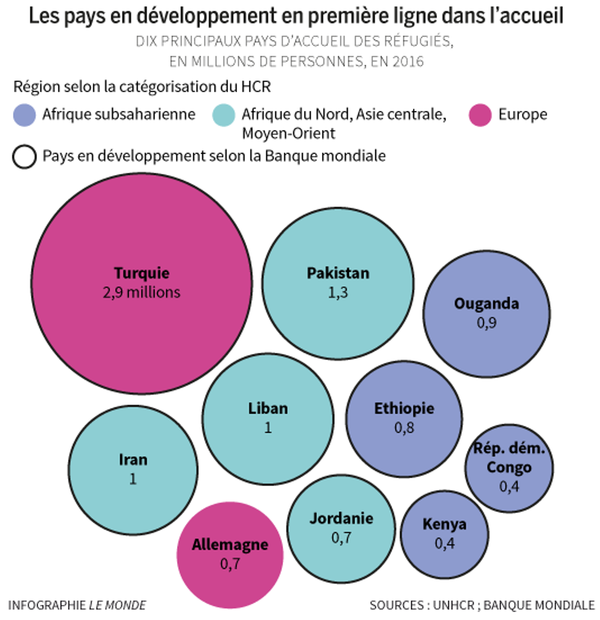 « Il s’agit du plus haut niveau d’insécurité alimentaire depuis l’indépendance du Soudan du Sud », constate George Fominyen, porte-parole du Programme alimentaire mondial (PAM), de retour de mission sur le terrain.